How you think makes the difference. Positive thinking means always seeing the brighter side of things, no matter what the situation. One can and should find something good in every situation. If that is not possible then one should accept the situation and try to move ahead in life. Positive Thinking Day - 13th September every year. Thoughts are things and whatever thoughts we hold in mind consistently take fruition. So it is obvious that if we want good things to happen in our life, we should hold good, positive thoughts in our mind. Misery begets misery. So, if your thoughts are miserable, expect to lead a miserable life. At the same time, positivity begets positivity. So, if your thoughts are positive, expect good things in life. Click here to know what famous and important people say about positive thinking. Psychologists say that more than 10,000 thoughts cross a typical individual's mind every day. Eastern philosophers have compared the human mind to a drunken monkey, who is constantly moving from one place to another and is almost impossible to control. Controlling such an hyperactive mind is by no means easy but it is possible and the end result is very satisfying. There is a saying that best personifies positive thinking. "Every black cloud has a silver lining." That should be our attitude. Learn something from every bad experience/situation. And even from a good experience. An example will make this clear. Example: Adam was comfortable in his 12-year old job. The company was good, the pay was decent and Adam was not very ambitious. In fact, Adam had decided in his mind that he would retire in the same job, taking whatever promotions that came his way naturally. Then one day the unthinkable happened. His job was outsourced to some Asian country. Adam was stunned. He was totally unprepared for this situation. There followed a period of depression and later, blame game. However, Adam had the good sense of seeing through the situation. He realised that though he did not have control over the situation, he did have control over his reaction to it. He did have some savings to fall back upon. He immediately enrolled in an adult education course in his field of expertise so as to gain additional qualification. Simultaneously, he accepted a lower paying job to keep himself occupied. (An empty mind is a devil's workshop!). After gaining his new qualification, a confident Adam was ready for a new job and that is what he got because of his changed frame of mind. Imagine what would have happened had he remained miserable? Right, misery begets misery and Adam would most likely still be jobless or be stuck up in some low paying hell called job. Expectancy: The human mind thrives on expectancy. We are always expecting something, either good or bad. 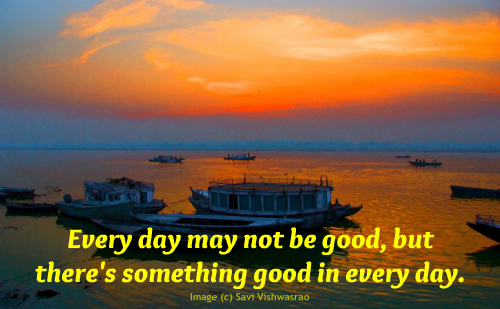 As our expectations normally take shape, why not expect good things? So positive thinking will bring forth good things and negative thinking negative things. Anytime you feel negative emotion, stop and say: Something is important here; otherwise, I would not be feeling this negative emotion. What is it that I want? And then simply turn your attention to what you do want. . . . In the moment you turn your attention to what you want, the negative attraction will stop; and in the moment the negative attraction stops, the positive attraction will begin. And—in that moment—your feeling will change from not feeling good to feeling good. That is the Process of Pivoting. Excerpted from the book "Money and the Law of Attraction: Learning to Attract Health, Wealth & Happiness"
It is not possible to control thoughts without proper training. Thoughts enter the mind randomly. It takes a conscious effort even to realise that unwanted thoughts are playing in the mind. Two effective ways of controlling thoughts are affirmations and meditation. 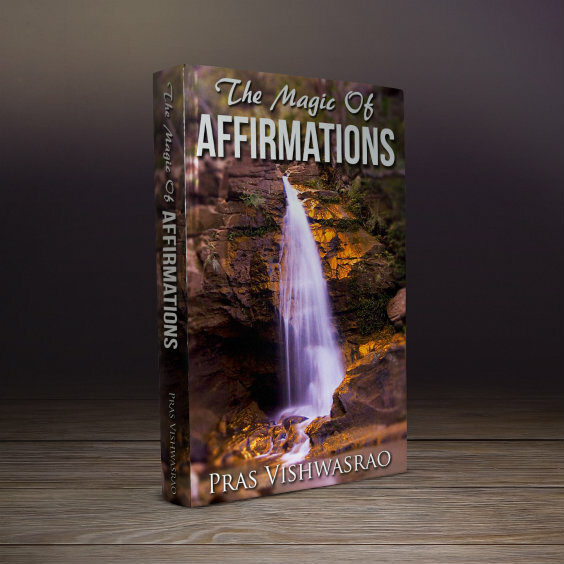 Click here to know everything about affirmations. If you think you are a habitual negative thinker, you may have to work harder than others. One tip is that read your affirmations at least a hundred times in front of a mirror BOTH in the morning immediately after you get up and at night just before you go to sleep. If you can also find time somewhere in the afternoon, so much the better. Finally, to round it off, keep on repeating the affirmation in your mind as you close your eyes, preparing to sleep. This results in your subconscious mind working on your affirmation when you are asleep. Another important tip about affirmations is patience. Your negative thinking pattern has developed over many years. It will take time to unlearn all the negative thoughts. Give affirmations a try for at least six months. You have tried negative thinking all your life. Now give positive thinking a try and see the difference. One great way to condition the mind for anything is hypnosis and self hypnosis. For any change to occur on a permanent basis, it has to be impressed on the sub conscious mind. Hypnosis is a very easy and hassle free way of doing it. And it is not necessary to engage a professional hypnotist for the purpose, which can be very costly. Professionally made hypnosis MP3s and CDs for positive thinking are available for a fraction of the cost. Using my extensive knowledge of hypnosis, I've selected some excellent MP3s/CDs for you, as given below. Multi-millionaire Jack Petchey says: My key to success? Positive Thinking.